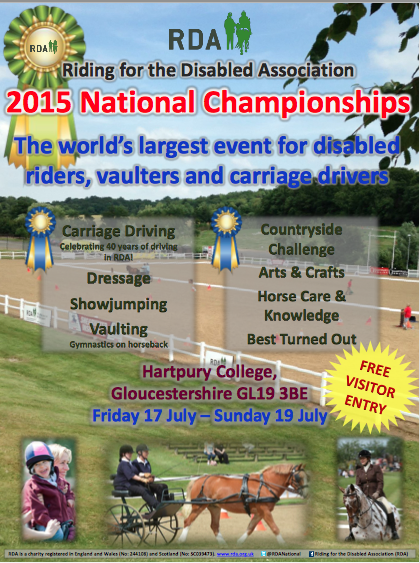 Today was Day 2 of the 2015 National Championships for the Riding for the Disabled in Hartpury, Gloucestershire. A truly inspirational event when you see the joy and enthusiasm with which everyone participates. The incredible connection between rider and horse to be so professional and accomplished in their abilities. 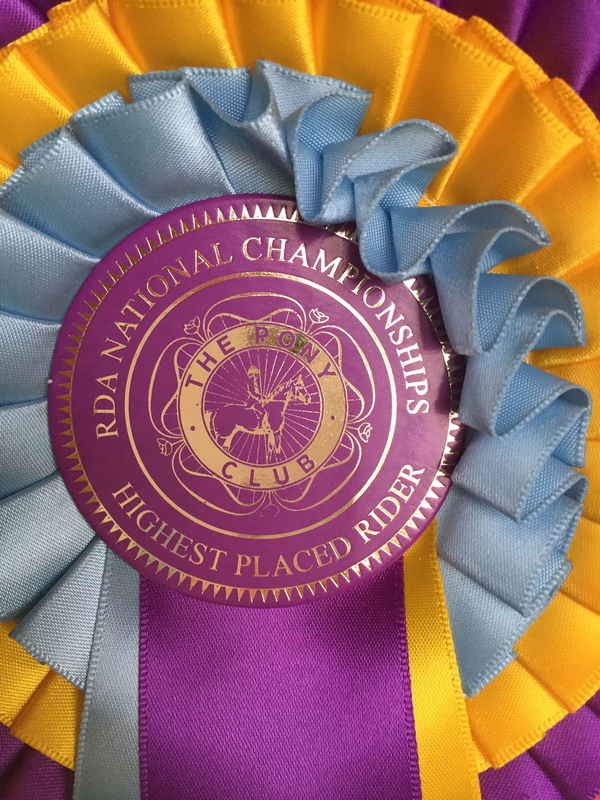 Truly their various disabilities don’t hold these riders back and it is an honour to see the culmination of many many hours of practice and dedication for these riders in the National Championships. Well done everyone. 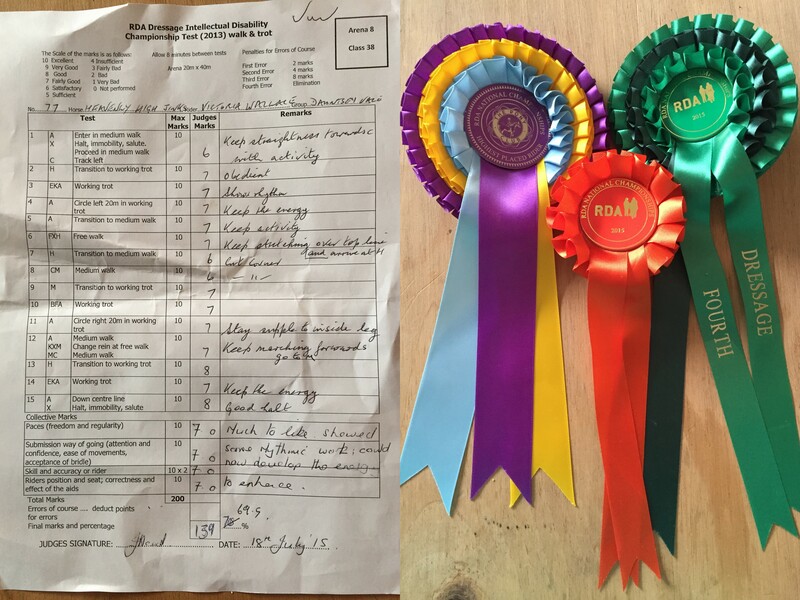 My very talented niece once again made it through to the finals of the dressage and it was my absolute pleasure to be there today to support her. Fortunately the weather this year was glorious (unlike last year) and Tori was one of the first in her group to compete. I’m no expert but I could see a huge difference in her performance from last year and the previous year. Here’s a little video. Tori’s test card and her well deserved rosettes. 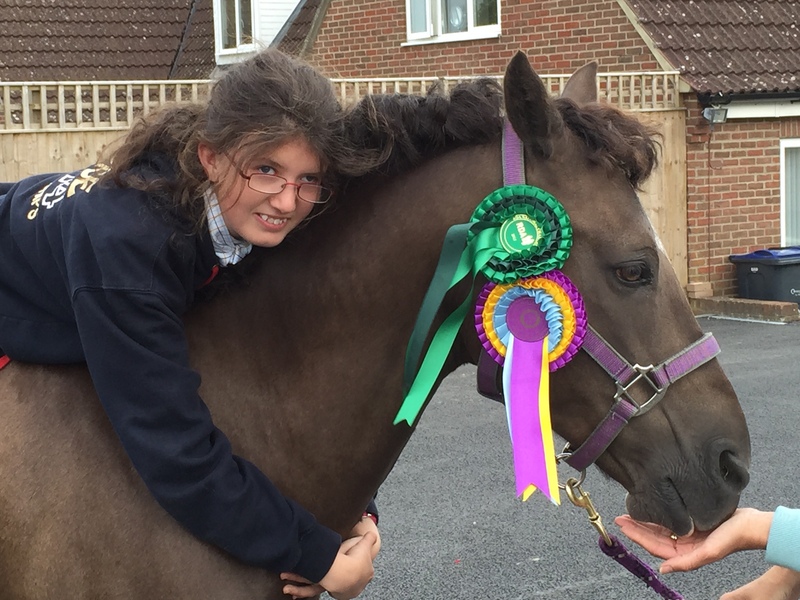 Fourth place in her group (green rosette) Highest Place Rider for the Pony Club in her Group And lots of love for Jinks afterwards. PS If only there was an equestrian category for Intellectually Disabled in the Paralympics… why isn’t there? Today was a terrifically proud moment for this Auntie. 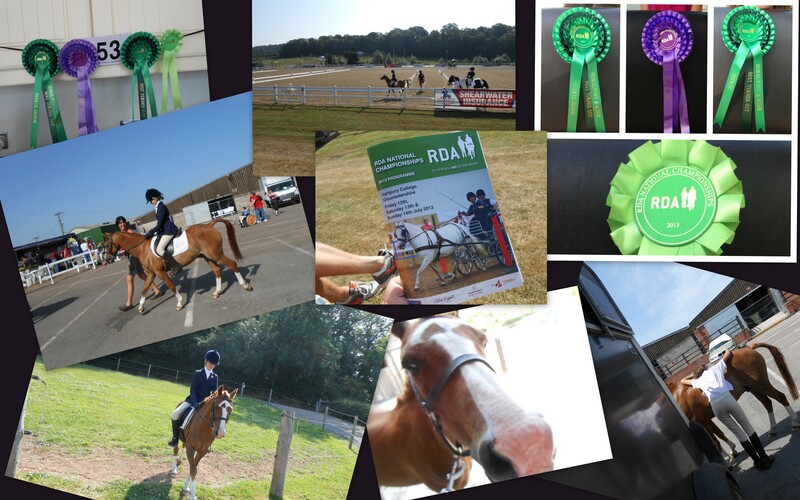 My niece, Tori, was competing in the Riding for the Disabled Association’s National Championships. An early start for us all (I stayed over) as we had to leave home by 6.30am to get the pony (King) into the trailer and to Hartpury in good time for Tori’s first competition entry at 9am. Tori’s cousin, Danielle, had kindly offered to help with the final preparations and also to ‘warm up King’ with a little riding before Tori took the reigns (literally!). 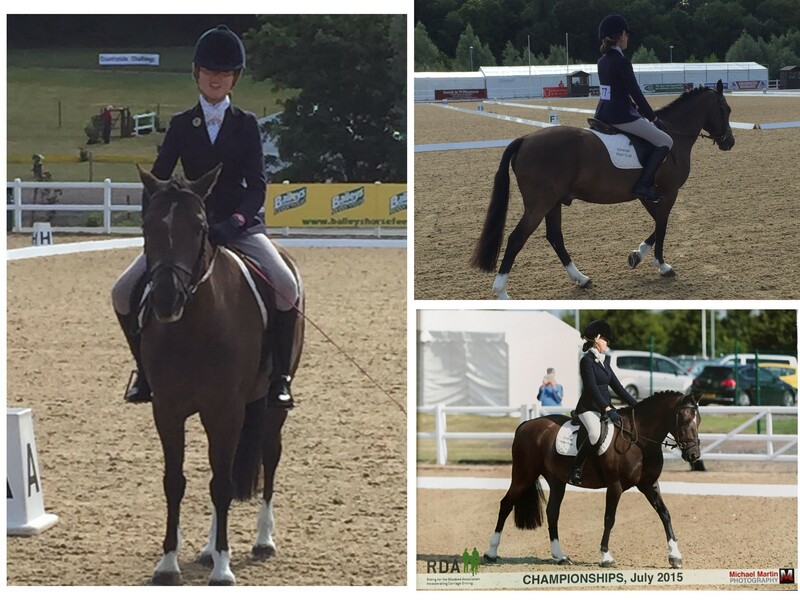 It was wonderful to see Tori competing at this level and not only taking part but doing really well. She’s been told so many times in her life of the things she ‘can’t’ do, it’s wonderful to see something that not only can she do but she can excel at. 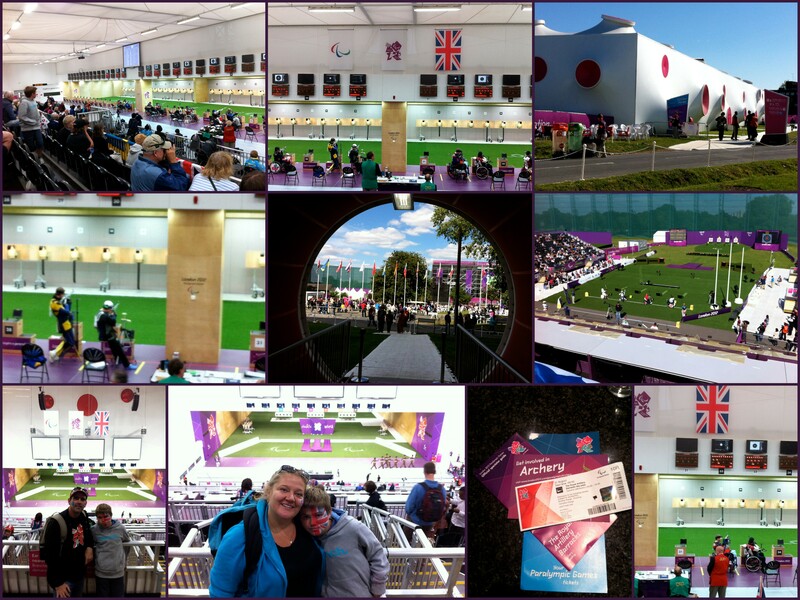 During the Olympics Tori, my brother and I went along to the equestrian element of the Modern Pentathlon which Tori loved watching… so much so I spent hours on the internet securing tickets for Tori and her Mum to go to the Paralympics Dressage a few weeks later. I met up with Tori afterward who was so excited about what she had seen. Enthused that people with “problems and disabilities” could be so brilliant. She said surely if they can do it, then so can I. And so she can! 4th place in her class for Best Turned Out Pony & Rider and 6th place in her class for dressage. What a superstar! 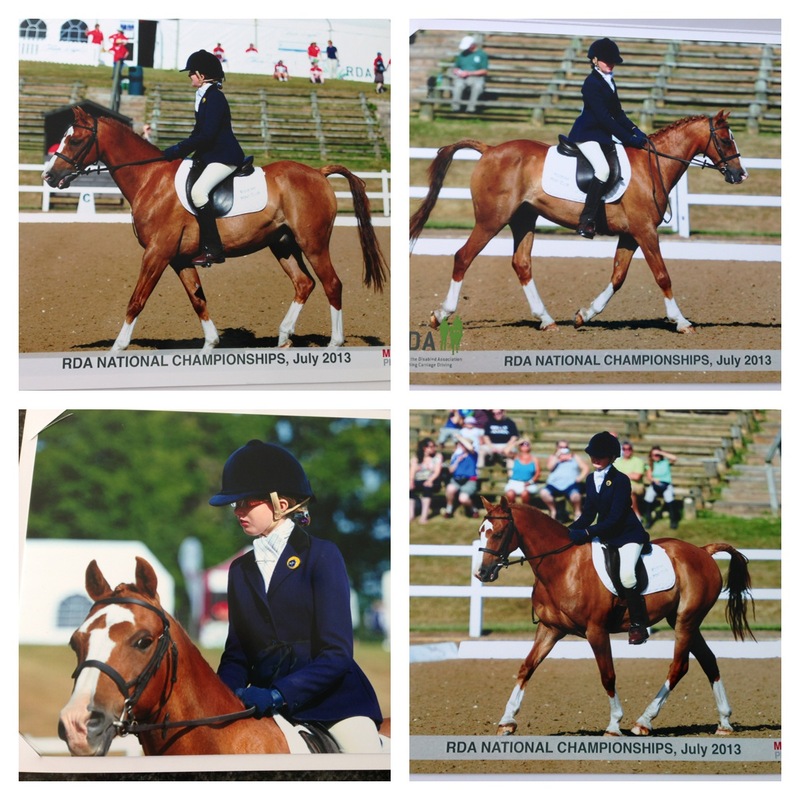 I put a little video together for Tori of video and still pictures of the day.. if you’re interested… I am so very proud of Tori and her ability to control a horse, to remember the course and just simply to be so utterly fabulous. Wow what a day. Aquatics in the morning, then catching up with old colleagues for a drink in the Olympic Park, a snooze in front of the big screens with one eye watching the events and then an evening of Athletics. How blessed am I to have experienced most of the Olympic Venues. My good friend Marie-Claire joined me this evening. We are perfectly positioned to see the entire track and also the discus, javellin and long jump areas. 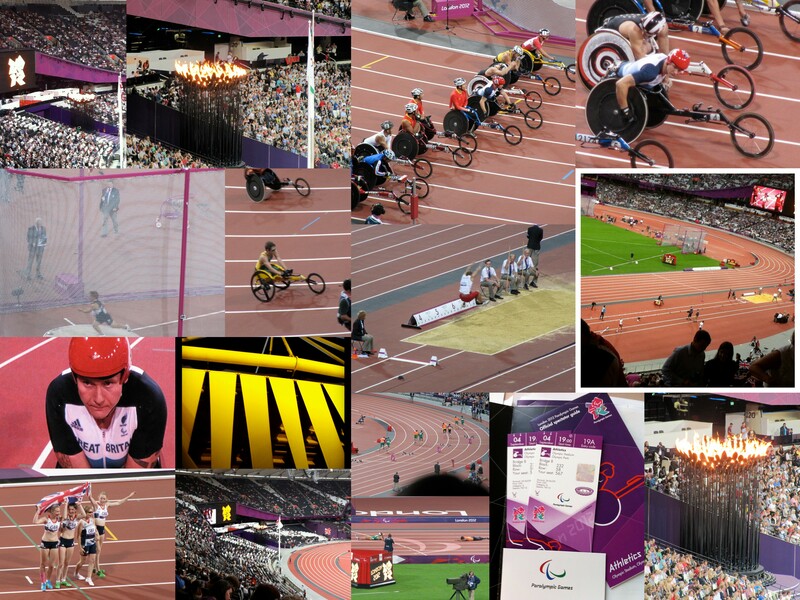 The atmosphere was incredible and even more so when we saw races with amazing competitors such as David Weir in them. An incredible evening and my oh my do those athletes deserve every cheer they get during the Paralympics. 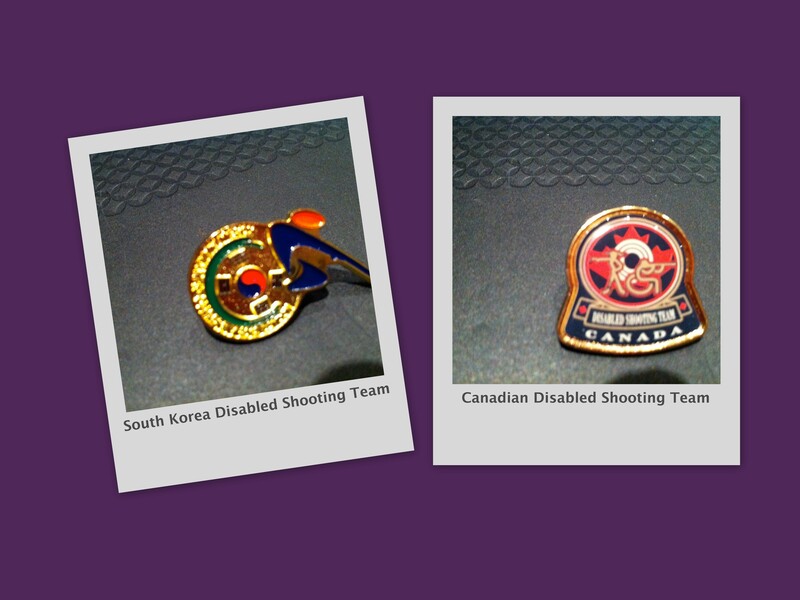 I can’t imagine the strength of these individuals to compete at this level in spite of any disabilities. Much much respect. I managed to buy online tickets for 5 of us (3 adults and 2 children) to get to a swimming event in the Aquatics Centre. Despite the comments of many that tickets to the Olympic and Paralympic Games were impossible to buy, it’s paid off to keep checking the website and be ready to pounce if there are tickets available. Clearly they’re being released at different times. 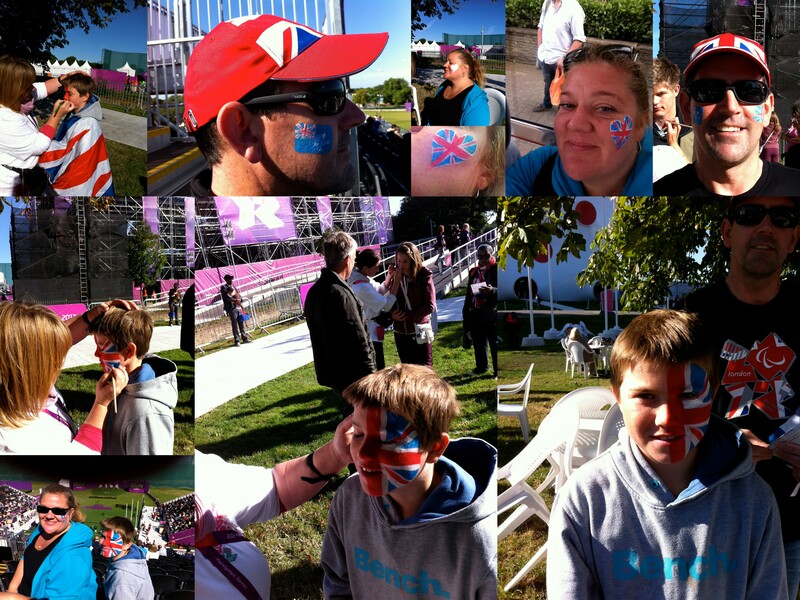 We had a wonderful day and I was so pleased that my friend’s children were able to attend an event and also experience the buzz in the Olympic Park. 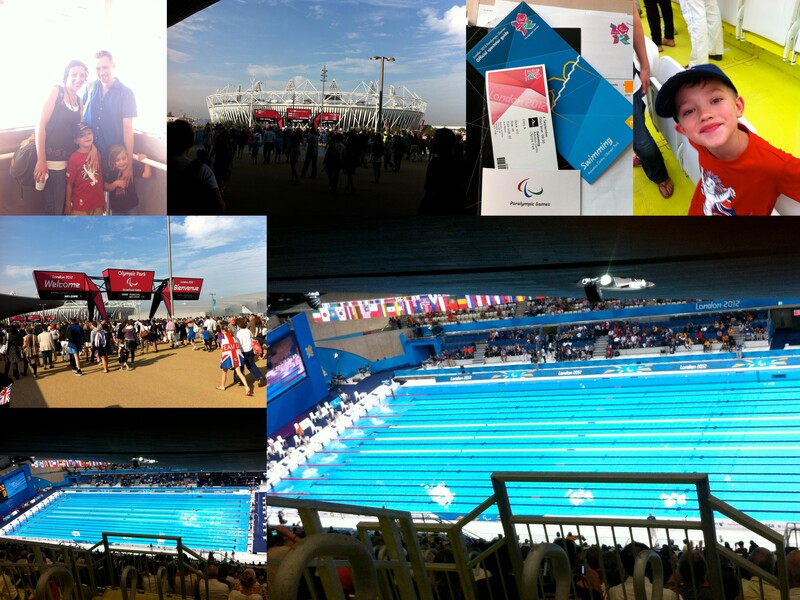 Another Auntie Anna Adventure Day at the Paralympics. This time with my nephew Joe. Also joining us is a great friend from Sydney, PJ. First things first we needed flags! Joe and I had British flags and PJ couldn’t decide where his loyalties lay so had the British flag on one cheek and the Australian on the other! I had managed to get tickets to the Archery and Shooting events. This combination was great for us as it meant that we could switch between the shooting indoors or the archery outside. At one point during the shooting Joe gasped with excitement at the scores and two coaches turned around to look at us. I was fully expecting that we’d be told off for making a noise but instead they presented Joe with some badges from their teams. 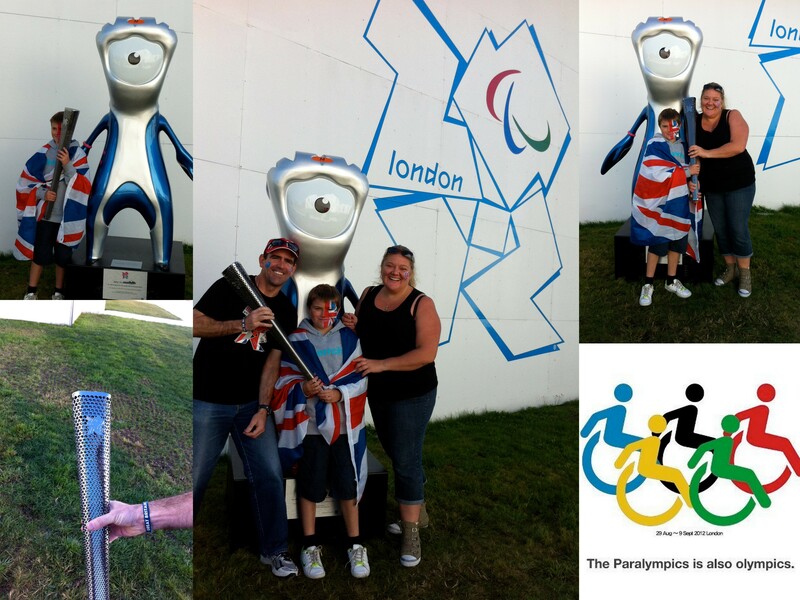 Also in the venue grounds was a statue of the Paralympic mascot, Mandeville. Nearby were some volunteers with a Paralympic torch. Too much for us not to have our photos taken with both! 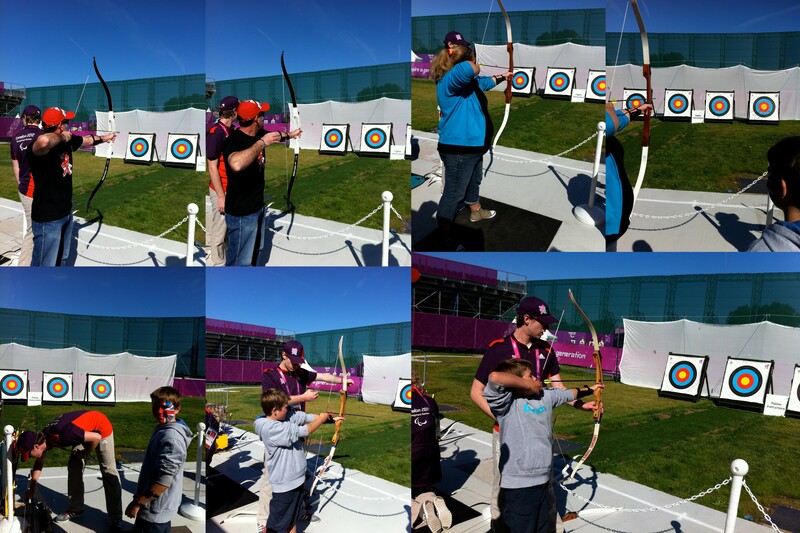 We also had the opportunity to try our hand at Archery. What a wonderful short lesson we all had and even managed to hit a target on more than one occasion. I’m giggling and can’t help but see the irony as I eagerly await the Opening Ceremony of the London 2012 Paralympics. 12 years ago in Sydney, the Paralympics started in a similar way. With me with my feet up and bandages a-go-go! “…Let’s start with the injuries. Dave, Margot and myself were playing tennis. My game against Dave. I’m a few points up and I step forward to take the shot and step back on my right leg. You know that sound of an elastic band stretching and then that sound of a twang – well imagine that in your leg! I stumbled back to the apartment where I ensconced myself on the sofa for the foreseeable. Fortunately Dave was here so I was able to get food and drink bought to me! Crawl to the loo and crawl to bed. On Monday night Dave was playing tennis again and had a long match against PJ (Playstation Jason). He arrived back and told me (whilst I was still on the sofa) that he was going to ache the next day but at least he didn’t hurt his leg! The folllowing morning Dave woke me at about 8.30am, way past his usual work leaving time, to tell me that his back hurt and he couldn’t drive to work or put his socks on. He then challenged me to a race to the kettle! We then spent the next few weeks with joint medical and physio appointments and a pulley system to be able to get the drinks and meals from the kitchen to the sofas! We were also very fortunate to have Margot and PJ delivering food and booze to us daily… but more to the point we got to watch the whole of the Sydney Paralympics 2000. It truly was an inspiration. I was therefore not going to miss out on the opportunity to get to the London 2012 Paralympics. The first set of tickets bought at the very first opportunity and many other tickets bought since. Yes I shall be taking my nephew to experience a Paralympic event and I’ve purchased tickets for my niece to attend an equestrian event with her Mum too. I’m going to more events with friends and other small people. I think a picture will speak far better than words! 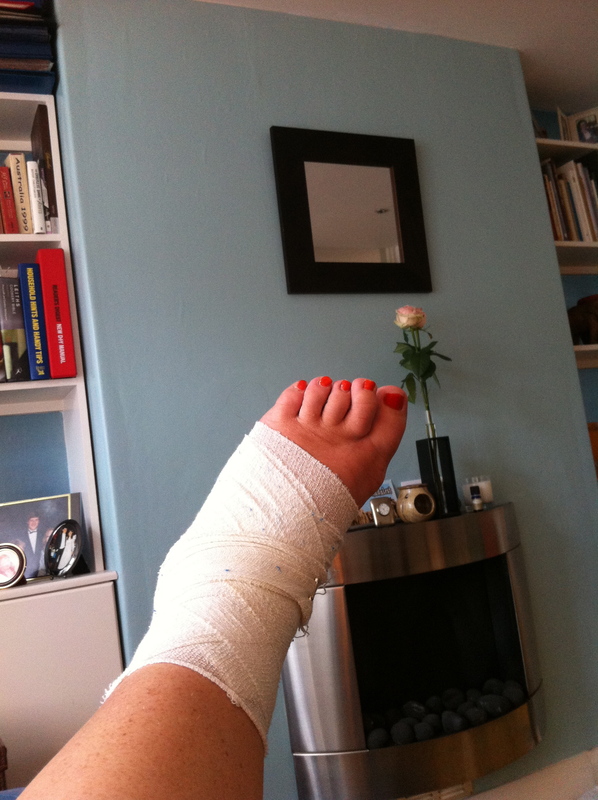 Yep, my ankle has blown up to the size of a boccia ball… not sure why… but know that I can barely walk! PS The lump on the left is my ‘over-sized’ ankle not my heel! Ha, oh no, not again! However my ankle will heal. I will walk again (not hobble and hop). 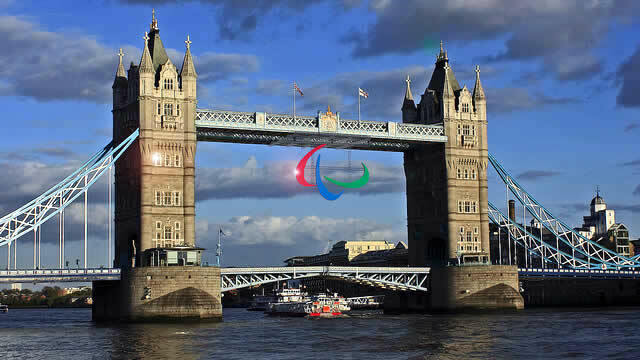 But will I achieve anything like the achievements and accomplishments that will occur in the next few weeks here in London at the Paralympics?